Home Economy Where and How to Turn Cryptocurrency Into “Real” Money? Cryptocards! Where and How to Turn Cryptocurrency Into “Real” Money? Cryptocards! Ever since 2009, cryptocurrencies have been becoming more and more mainstream, partly because of the realization of the great potential of blockchain technology, and partly because of the speculative interest and outright greed – or FOMO. Despite their volatile price, cryptocurrencies are also taking roots in the real economy, and one of the main factors for mainstream adoption is their integration with existing, fiat-based methods of payment. Credit and debit card issuers and integration with online payment providers and bank accounts are, without a doubt, major stepping stones in that direction. In the last couple of years, a UK-based fintech startup Revolut has amassed almost a million users by offering purely online banking services for individuals and businesses. Recently it applied for an EU banking license, striving to fill a space in a new economy, catering to those parts of the market to which legacy banks are not so fast to adapt. In this emergence of Revolut and its plans to roll out support for buying and selling cryptocurrency, some hurdles that fintech startups are facing when adopting crypto support became apparent. Anti Money Laundering regulations and banks' interpretations of them. Meaning that if an ‘unverified’ source is funding the Revolut card, it could be used for ‘money laundering and terrorist finance’. It means that in order to satisfy any banking partners, funding can only come from a verified source. Knowing how reluctant the financial sector is to support crypto-based businesses, this sounds like a credible explanation. how long will wave crest remain with us? because they're the bank of the underworld if they continue issuing unverified cards for everyone without verification. any criminal would think its the best solution, order a card, load it up with dirty coins and withdraw the funds from any ATM around him. This is the company which issued the most crypto ATM cards on the market. In August, however, non-European crypto-cards users started getting emails that their Maestro and Visa cards will be functional only until October 2017. Without analyzing how much this is due to legacy fintech monopolies trying to obstruct the crypto revolution, and how much of this trend is due to the legitimate regulatory obstacles, we compared some of the main players in the crypto card market. Bitwala GmbH is a German startup that has been in the crypto-card space for around two years. They are based in Berlin, and CEO Jörg von Minckwitz is also a cofounder of Bitcoins Berlin, “Europe's Bitcoin Startup Incubator”. The company has a solid rating on Trustpilot, and no serious negative reviews on bitcointalk. One thing that we noticed, users do tend to complain (and this is also the author's experience) of delayed / pending topups that happen on weekends – it sometimes takes until Tuesday for the weekend crypto topups to go through. With Bitcoin's price volatility and the original promise of crypto-transactions taking minutes, not days, this is a big turn-off. And this is an issue on Bitwala's side, not the BTC network – at one point, the author saw seven network confirmations, and still had to wait a couple of days. The company is relatively reputable in its fintech space. Their cards are issued by WaveCrest Holdings ltd, so it is among the card providers that ceased servicing users ‘outside of the EEA region, Europe Microstates, EEA Overseas Territories, Israel and Turkey'. Bitwala also recently anounced that it cannot accept US customers, or “anyone with tax obligations in the US”. Their account can be used without strict KYC / AML identity verification, but to be able to use a card, which can be either virtual or physical Visa card, WaveCrest / MyChoice require proof of identity and proof of address. This also raises monthly limits on account usage to 2000€. Their prepaid cards are exclusively in Euros. They offer SEPA and SWIFT transfers to / from the account. Bitwala offers only a BTC wallet, but money can be topped up through Shapeshift, whom they are partnering with, so that means it accepts Ether, Monero, ZCash, Lisk, Maidsafe, Ripple, Vertcoin, Steem, even USDT, which will be converted to BTC and then loaded as Euros to the card. The process is rather seamless, and in our experience there is no ripoff. 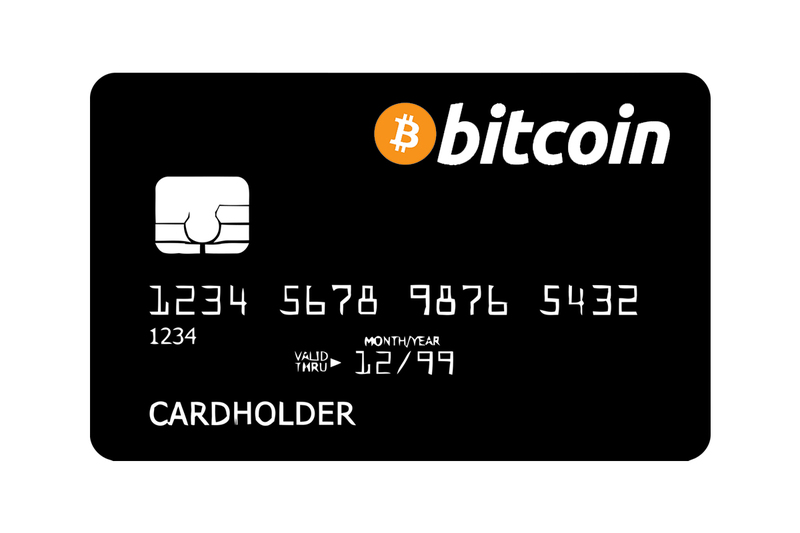 If you have BTC, of course, you can load the card directly. Besides personal, they also offer business accounts. Bitwala has 57,000 users and 55 million € in transfers so far, with a steep upward curve. One of the interesting things I've found about Bitwala – and which may be interesting for crypto-oriented and crypto-friendly companies – is they offer an API with the possibility of programmatic payouts to users / customers / vendors bank accounts, straight from Bitcoin wallets (possibly related to current crypto prices at any given moment, etc). It allows cashing out to bank accounts at the right moment. The fiat system is not designed to work with the crypto economy. The know-how of banks is very limited and there is no serious strategic focus, except for some private blockchain trials in inter-banking clearing processes. The job of a bank is fundamentally to manage risk. This requires a lot of know-how about the systems in which it does so. Managing risk in a fundamentally different system such as the crypto economy requires a completely different knowledge and set of processes. They have advisors and support from some ex bankers from prominent banks, lawyers, and founders of Lisk and Gnosis. wallet and payment platform where merchants and consumers can make transactions with each other while also being backed by the new bitcoin payment protocol. It is led by George Basiladze and Dmitry Gunyashov, Russian nationals. In March 2014 they raised 100 BTC from Seedcoin, a subsidiary of Consilium, an early-stage blockchain accelerator from London. At the time of this writing, they have 108908 cards issued and 567296 active users. On Trustpilot, the company has a rating of 8.5 out of 10. Their verified Facebook page seems fairly active, although the reviews / ratings seem to be switched off. 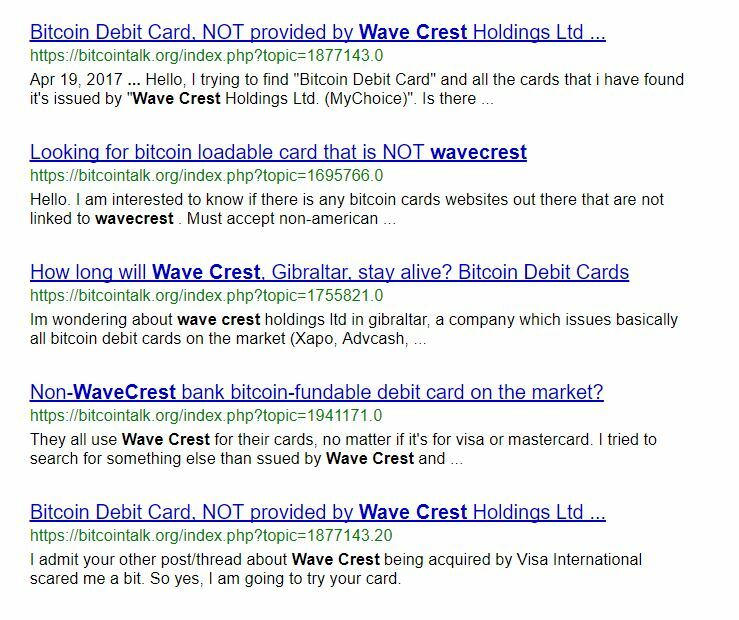 Cryptopay depends on Wave Crest Holdings ltd. from Gibraltar for the issuance of their cards, so everything we said about Bitwala and their country-coverage goes for Cryptopay, as well. Their ceasing to service clients outside of EEC area – including Turkey and Israel – has caused a fair amount of turmoil and refund requests as the discussion on Bitcointalk reveals. Cryptopay seems to allow ordering / using their card for EEC / Turkey / Israel residents without the need to verify identity, except the users in Greece, Croatia, France, Bulgaria and Romania. However, to increase limits, linking the bank account, withdrawing funds from Paypal, it's necessary to verify the account. Verification requires a personal ID scan, proof of address (like utility bill) and a selfie with the ID. The process seems to be a bit more strict than with some other card providers. A card can be loaded with Euros, GBP and USD, or with Bitcoin. Withdrawals are possible to bank accounts, while withdrawals to PayPal or providers like Skrill or Payoneer aren't, because these providers do not hold bank accounts in customer's names. Cryptopay just closed an ICO in October 2017, which was available to investors from all countries except the US, Canada and Singapore. They report to have raised ~15 000 000 €. One of the advisors was Jon Matonis, one of the pioneers / directors of the Bitcoin Foundation. Their whitepaper can be found here. From the long term perspective, many digital currencies holders will eventually have to reduce their exposure to digital currencies due to many reasons – starting from liquidity preferences to changing attitudes of perceived risk. We soon expect to see many investors shift the holdings of their portfolio from digital currencies to traditional financial assets – stocks, bonds, derivatives and even term deposits. We believe that we will benefit traditional asset managers/brokers as they will get interest from relatively young, but wealthy individuals. However, due to compliance reasons, much of the shift of wealth will be followed by multiple issues – asset freezes, compliance checks, bank account shutdowns, etc. Traditional financial institutions neither understand this new generation of clients nor can they serve them in the right manner. Our focus is to provide traditional financial services to the digital currencies community in a secure and compliant way. Users of Cryptopay brokerage services will be able to move holdings from bitcoin, to say, Apple stocks within a single account and without any additional effort. As a regulated entity with payments and prepaid cards we are in the best position to combine a high level of service that our users love with regulatory requirements. Further down the line they have full fledged banking for their users planned, IBAN accounts, and later an ICO and p2p marketplace / platform. They also have a pretty good referral program. Established in 2011 in the US, Bitpay is one of the older Bitcoin players, well established, both in the United States and Europe. In 2013, it attracted attention from some well-known investors, including Li Ka-Shing, richest man in Asia at the time, Founders Fund – run by PayPal founders & early employees, Richard Branson, Roger Ver and others. The company received funding of over $30,000,000. Bitpay founders are Antonio Gallippi, Stephen Pair, and more details about the company can be found on Crunchbase. They are headquartered in Atlanta, Georgia. The company provides bitcoin payment gateway services, and they claim to have had 10000 merchants on board as early as 2013. One of its advisors is Arthur Levitt, former Chairman of Securities and Exchange Commission, and on their board of directors is, among others, Carl Stern, former Goldman Sachs Vice Chairman of Investment Banking Division. Bitpay looks credible, as far as costumer trust is concerned. They released their Visa card in 2016, so crypto-card is just one part of their business. Their merchant payment-gateway includes POS applications, many integrations with existing software, and API libraries. For those of us inclined to spend days or nights staring at the source code, Bitpay has a fairly interesting Github account. 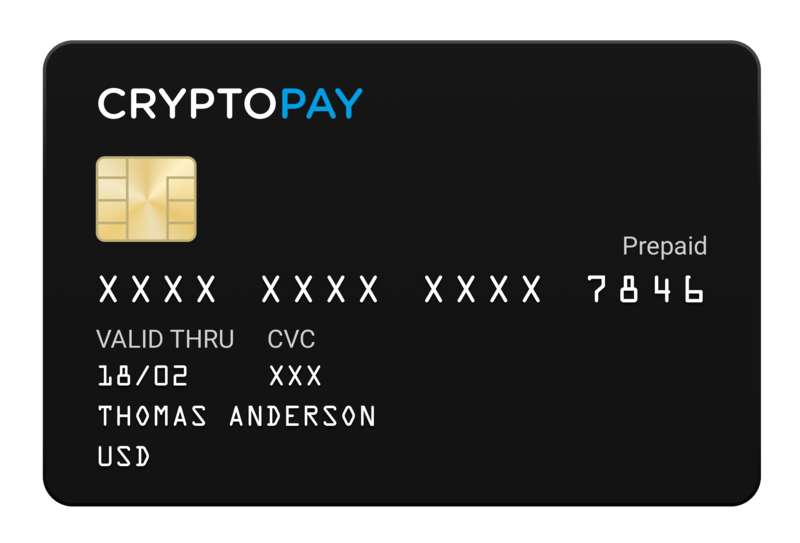 Their card is Visa card, and Bitpay does not support altcoins, nor does it plan future integration, but it is possible to load the card with altcoins via Shapeshift.io. Perhaps due to former SEC chairman and a former Goldman Sachs banker in their ranks – and their connections, or advice, perhaps due to their agility or better reputation, Bitpay is one of those providers who have managed to offer their services to the US customers as well as those in the European territories. Their US card provider is Metropolitan Commercial Bank, and in Europe the one and only Wave Crest Holdings ltd, Gibraltar. What appears to be unique among the providers we have covered here, is their recent announcement that their users can claim a personal IBAN number – in their own name, not Spectrocoin's – and this is valid for all except for US residents. It has recently been featured in The Merkle. This is a possibility for both individuals and businesses. Those of us who have stumbled on obstacles trying to bridge the blockchain world and banking know all too well how much this detail is welcome. There are some complaints. Spectrocoin's team seems to have had some hiccups in the customer support area – even sporadic accusations of frauds. Having advised caution, we must also say that these reports on forums like the link above to the bitcointalk discussion are far from conclusive, and the voices accusing Spectrocoin have some credibility issues as well. All we will say is that this is a very competitive niche, so DYOR. The project is ambitious, and Spectrocoin plans to bridge the blockchain, the crypto-world and traditional banking with their Bankera project – which has its ICO going on at the time of writing of this article. So far, in the pre-ICO and ICO, 31 million Euros have been raised. They have a team of bright minds there, and advisors from both banker circles and EU Parliament MEPs. The project is focused mainly on the EU area and aims to integrate traditional financial products like loans and crypto funds. There is a crypto exchange planned for the first half of 2018. A pilot project for the exchange can be seen here – it already seems to be a functioning product. Bankera's token is Banker – BNK. Bankera will include commission / revenue share with BNK token holders. 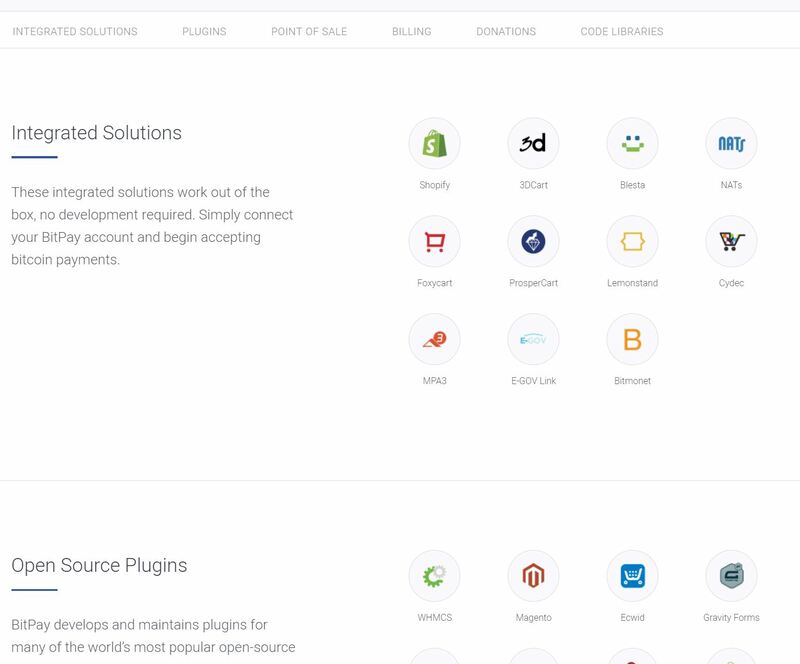 Spectrocoin has an API and merchant plugins for integrating bitcoin payments into websites. 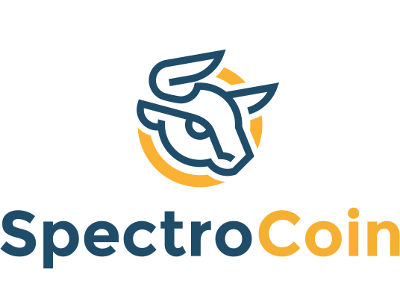 Spectrocoin card is supported in MANY countries, and this is a distinguishing feature in this niche. It can be denominated in EUR, GBP or USD, and is accepted anywhere Visa is accepted (but we did not see the Visa logo on the card pictures on their website). It features USD, GBP and EUR balances (and a local currency, for me it was HRK), and ETH, BTC, XAU, XEM, and BNK crypto wallets. Other currencies are supported. There is also a host of deposit and withdrawal methods available. Cards available are both virtual and plastic. Xapo was established in 2014 by Argentinian entrepreneur Wences Casares, with a number of ventures under his belt. He sits on the Board of Directors of PayPal. Investors in his previous ventures were George Soros, Microsoft, and Intel. Among its advisors are Lawrence H. Summers, the former Secretary of the Treasury under Bill Clinton, Dee Hock, the founder of VISA and John Reed, former chairman and CEO of Citibank. The company was established in the US, but soon moved its headquarters to Switzerland where it became known for its Bitcoin vaults – the Xapo Vault, consisting of the physical servers around the globe, protected by security measures including armed guards at undisclosed locations and biometric access control. It is considered to be one of the bigger players in BTC space. XAPO's card is available in all European countries, including Turkey, Israel, the Canary Islands, and Iceland. It can be used wherever Visa is accepted. 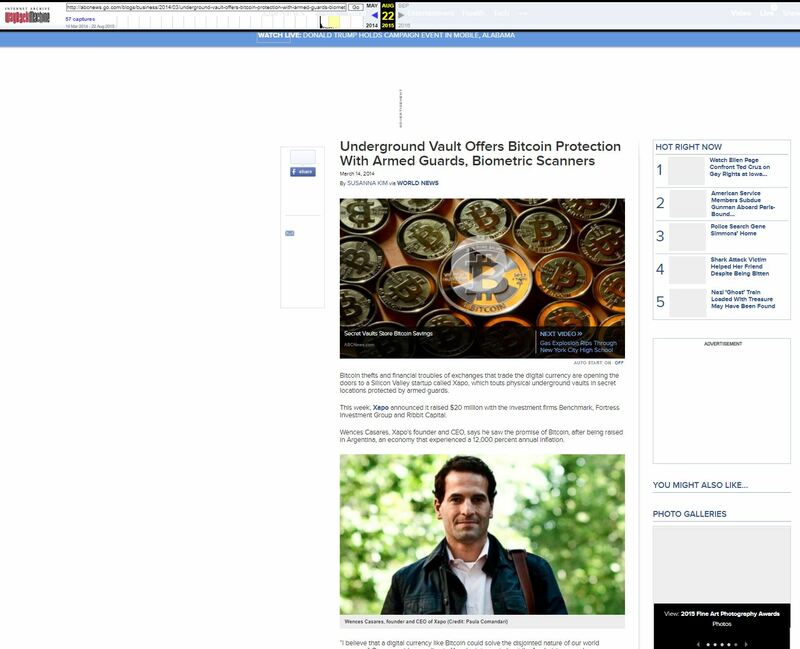 Their API allows manipulating the account and bitcoins within the account, and sending BTC to other XAPO users. Only Bitcoin seems to be supported – XAPO doesn't support other cryptocurrencies. Just like with Spectrocoin, they have a poor ranking on Trustpilot, calling them a scam, but these reviews can usually be taken with a grain of salt. Most of the complains against XAPO on reddit have to do with Segwit2X bitcoin wars and BTC politics, not the product itself. XAPO was a Segwit2X supporter, and many held it against them. XAPO doesn't have an ICO, nor does it advertise any banking ambitions, and it doesn't offer any merchant solutions. It is mostly known for it's security features. Other products and companies worth mentioning in this space are AdvCash, TENX and Wirex – but lately there has been an explosion of crypto startups in this space, so there are more. TokenPay is an upcoming project that will be focused on privacy, has yet to release a crypto card. ShakePay is a Canadian provider of Visa crypto cards with support for BTC, ETH and Dash, and Roger Ver – the spokesperson for Bitcoin Cash – announced a similar effort as well. Previous articleEthereum Gas and Transaction Fees Explained! Next articleHow to Get Started with Litecoin?